This is a TokyoFoodie special feature. We’re branching out. 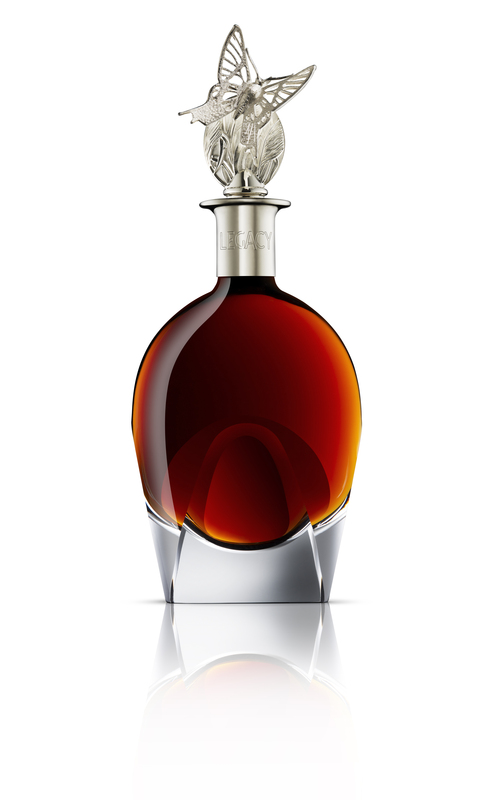 When I heard that someone was coming out with the most expensive rum in the world, I thought it was probably a gimmick. I expected a basic aged rum in a solid gold bottle, wrapped in a wad of cash. When I heard that Angostura, the rum (and of course bitters) distillery from Trinidad and Tobago, was the one behind said “most expensive rum in the world”, I couldn’t resist. There’s something about Angostura that fits the island and culture of Trinidad. A small, tropical, mostly untouristy Caribbean island with a passionate food, drink, and music culture (and oh, the amazing people that fill the two islands) that would put some continents to shame, Trinidad’s history can be told through its national beverage. One can imagine drinking Angostura in any time period on the diverse island, which had jumped ownership between the British, French, Dutch, Courlanders, and Spanish, before gaining independence in 1962. It’s an amalgam of different histories, cuisines, and cultures, and that extends to its rum. There was nothing colonial about this, however. This was Angostura bringing their portfolio into the modern era, into the elegant refined dining room at Spruce, a San Francisco California-cuisine foodie landmark, pairing specially-invented cocktails and each rum with dishes so extravagant and well-thought-out, that I had no idea whether the food or drinks were chosen first. Not like it mattered. If there was ever a reason to not order wine with dinner, this was it. From a warm lobster salad served with the bold 7-Year rum, to the foraged mushroom risotto paired with an equally delicate Angostura 1919, the menu was both inspired by and lifted up the dark oaky rums. But when we arrived at the main course, a Liberty Farms Duck Breast with cassoulet, Boudin Noir sauce, and roasted Arkansas apples, served with (my personal favorite) Angostura 1824, I knew for certain that these rums were bringing their Carribean roots into the world stage. 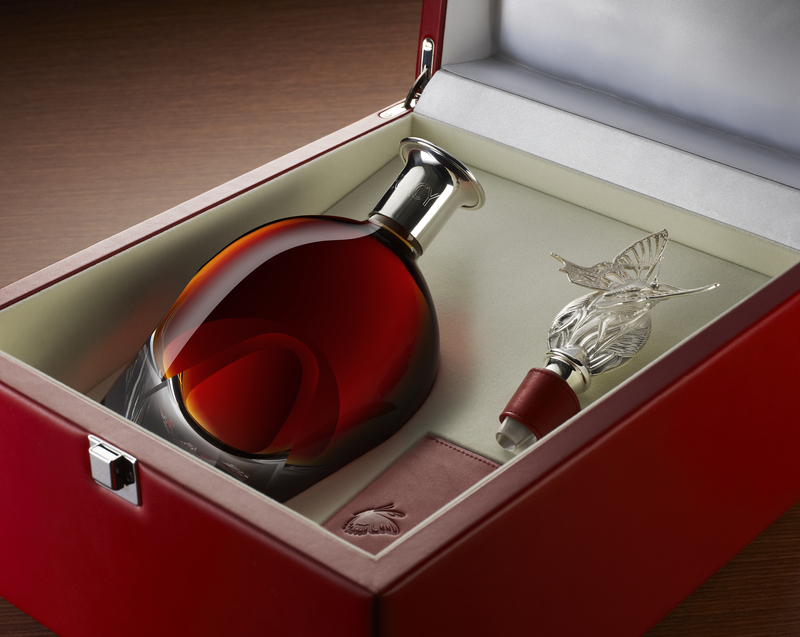 Wait a minute… Did we forget about the appropriately named “Legacy”, the $25,000 bottle of rum? You’d be forgiven for focusing on the 7-Year, 1919, and 1824, but the shining crystal bottle on the mantle still beamed at us. 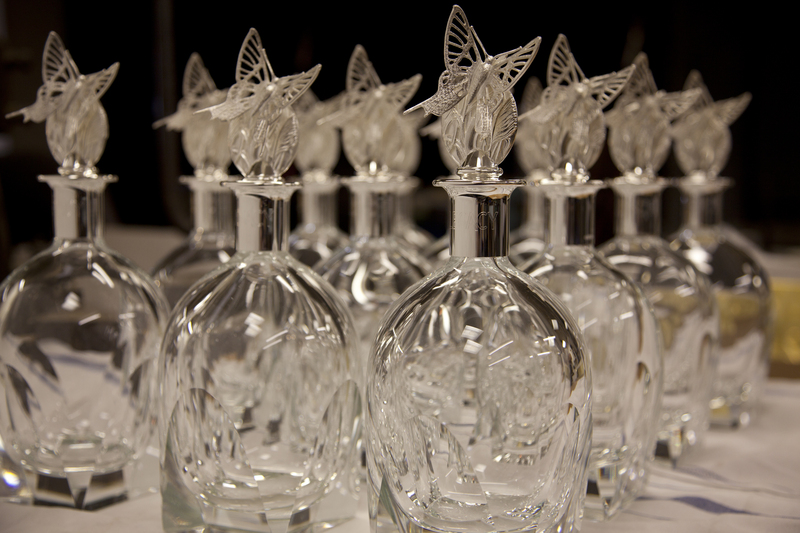 Handcrafted by Asprey of London, the crystal decanters are hand blown by the famous glassblower Moser, and capped with a stopper of their iconic butterfly perched atop sugar cane, in sterling silver. Even the box it comes is a visual and tactile smorgasbord of calf leather, silk, and velvet. This was no gimmick. The nectar-like bronze potion was a sweet, fruity, nutty, and a bit spicy breath of history to finish off the night. It was tangy with definite hints of the oak barrels, and blended with obvious attention to both the age and the reference to Angostura’s more well-known labels. The painstaking labor of love project to create this blend took six years of experimenting, blending, sampling, and further aging the rarest rums from Angostura’s stock. Yes, you’re right; this is the best job in the world. In the end, just seven of the most precious rums (the youngest is 17 years old) were blended to create this secret concoction. John Georges, the visionary, yet humble master distiller with this enviable job, who created the Legacy and was sitting next to me during dinner, describes Legacy as the ultimate expression of Angostura Rum. What an apropos way to celebrate Trinidad and Tobago’s 50th year of independence. After 200 years of history, Angostura somehow has the nerve to make a rum like this, the “greatest sipping rum ever produced”, which I believe is a game changer for the aged, blended rum world, and then go limit production to just 20 bottles released worldwide. Yes. You read that correctly. 20 bottles. It is cruel punishment to taste something so delicate and refined, that I will probably never get to taste again. Your chance at a taste of this rarity depends on your willingness to sell your car, but I could see how it could be worth it. There’s certainly something that just seems to click about the pairing of Angostura with a hot Trini evening and some spicy doubles. Seriously, go to Trinidad! But luckily, the 7-Year, 1824 and 1919 are much easier to find in Japan or the states. With the introduction of the unparalleled Legacy and its entire lore, Angostura has proven that good rum is an art form, and like all timeless art, its brilliance and rarity will always keep people thirsty for more.